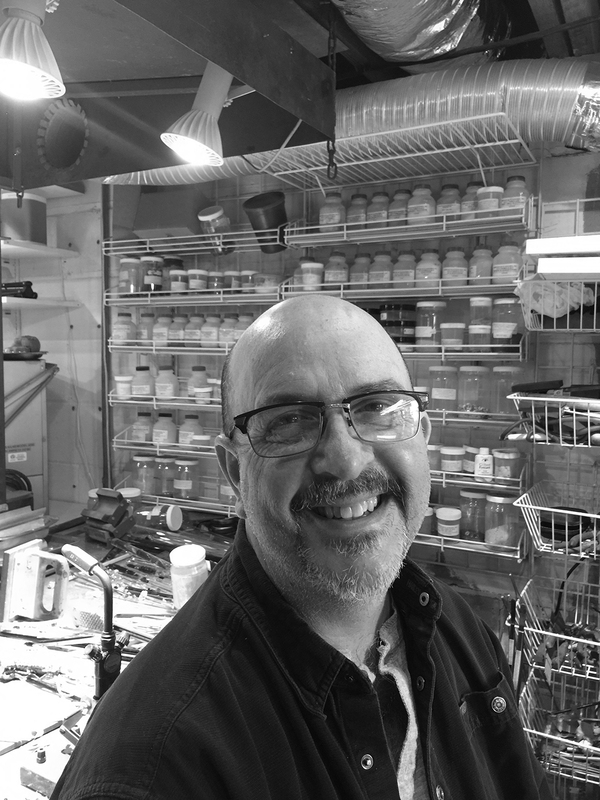 See guest artist David Sandidge during live, narrated demonstrations in the Amphitheater Hot Shop on January 11 and 12 from 10 am to 4 pm. Watch as Sandidge brings one of his fanciful glass figures to life with the help of the Museum's Hot Glass Team. Sandidge was just 15 years old when he started working with glass. Since then, he has worked as a principal artist for Disney and traveled the globe producing beautiful one-of-a-kind art glass sculptures. He has worked in Disneyland Paris, Tokyo, Hong Kong, and California. He has made numerous trips to various parts of China to teach. He now works out of his home studio in Virginia where he teaches one-on-one workshops for glass students, and he produces artwork for galleries and fine art festivals. At age 15, David Sandidge made small glass figurines at a glass factory in Virginia Beach. As factory work was not his ambition, Sandidge went to college to study aviation. Eventually, he would come to realize that his passion for glass outweighed his desire to fly airplanes. He excelled at the factory mastering his technique and designing new products.